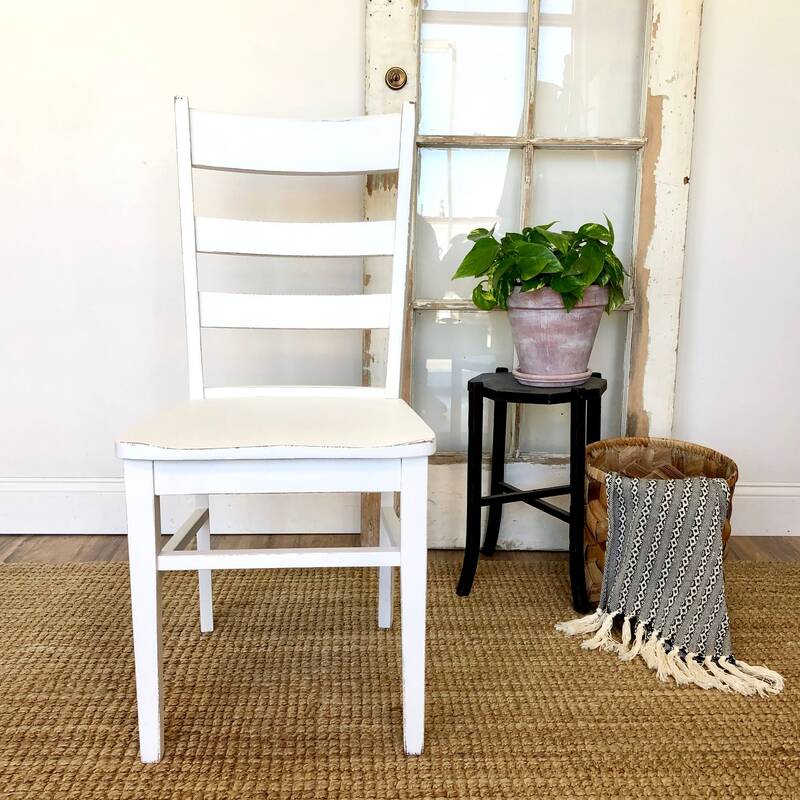 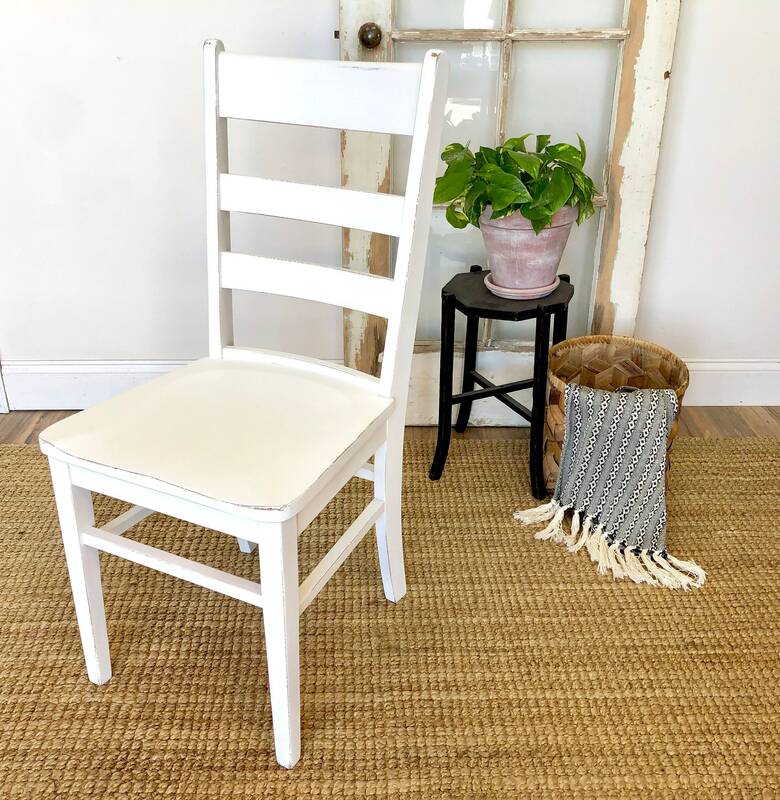 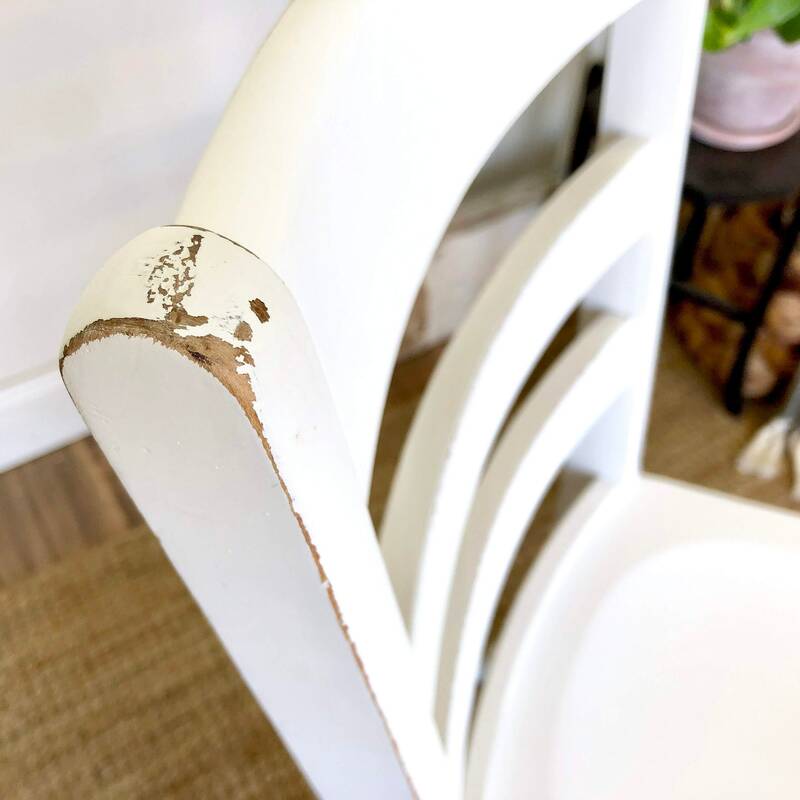 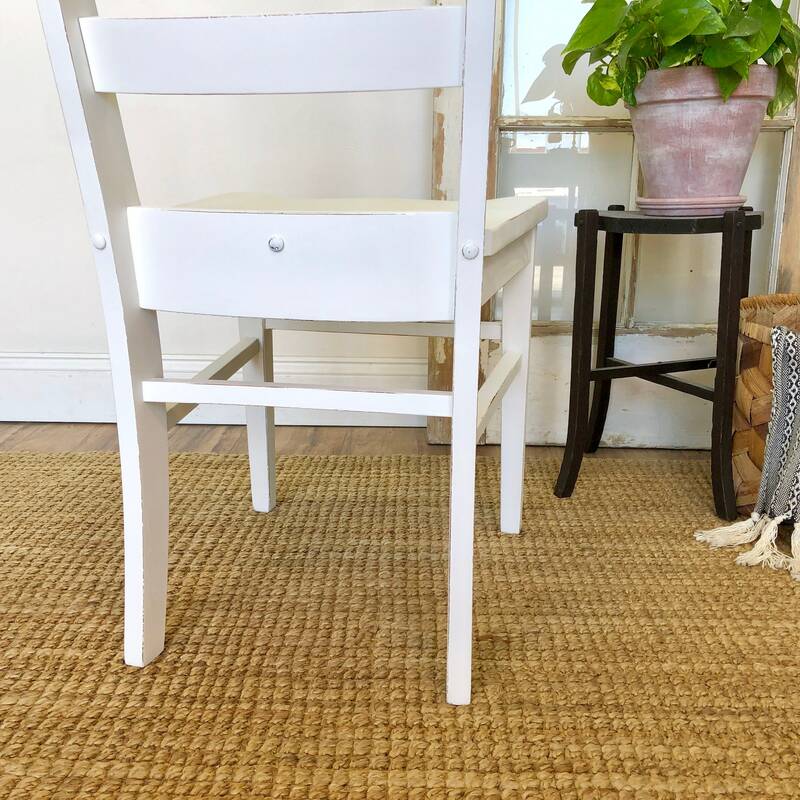 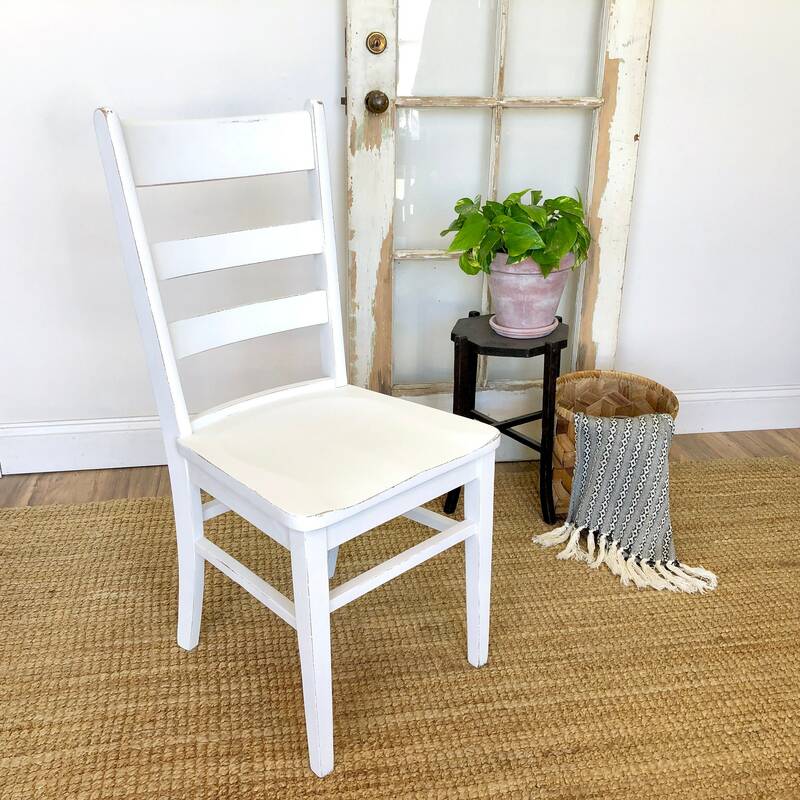 Add this white chair to your farmhouse interior to create a seating area or use it with other mismatched chairs with a dining table. 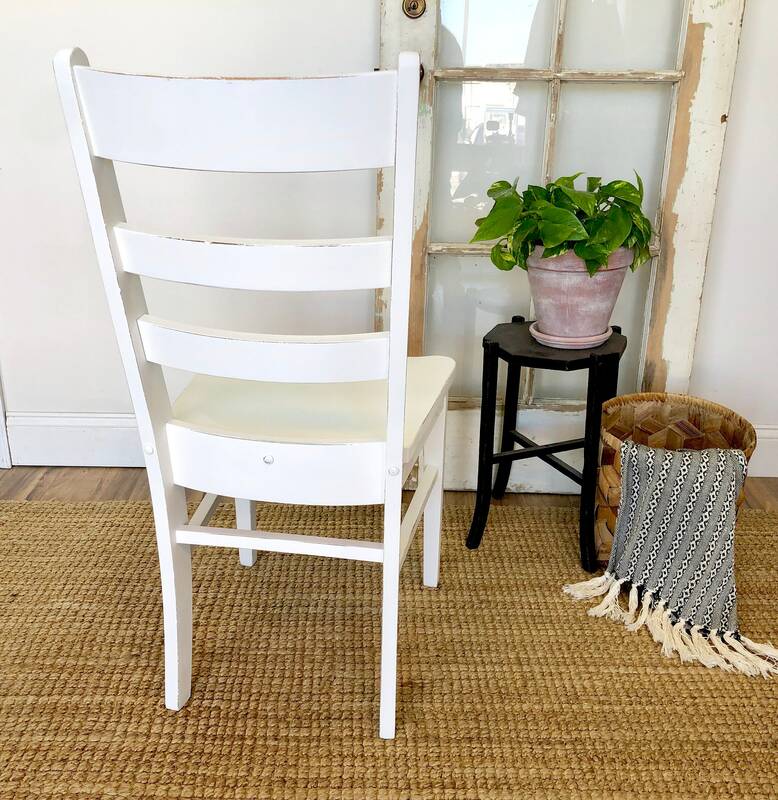 It's a ladder back dining room or kitchen chair with lots of vintage charm and character. 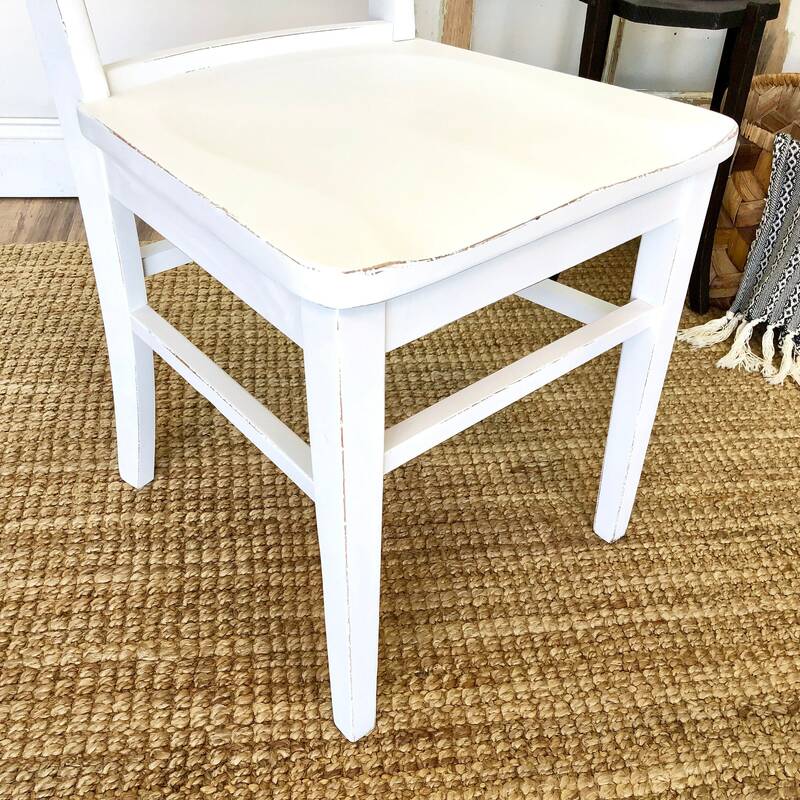 The rustic, distressed patina ads interest and a pop of bright white to your space. 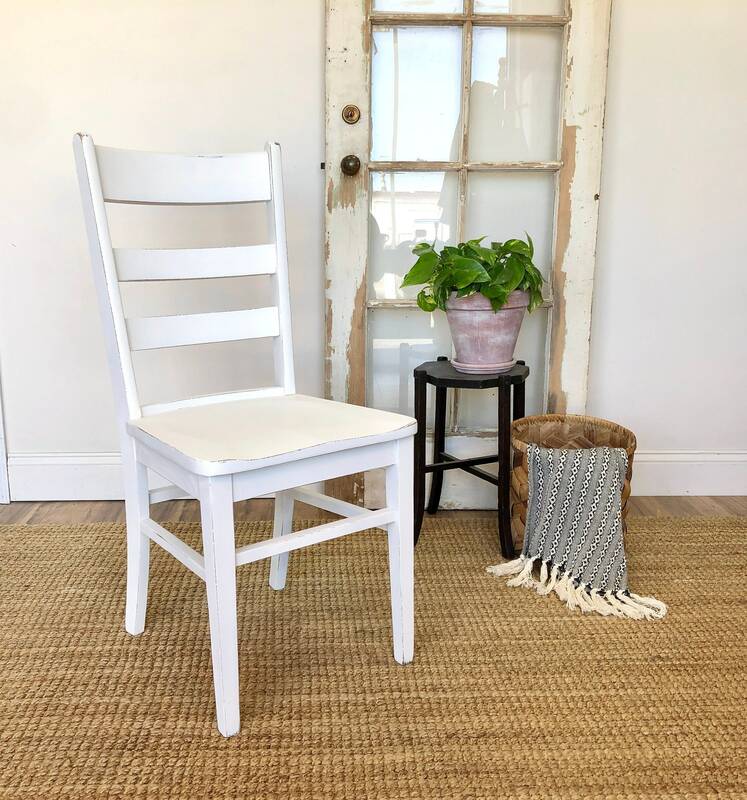 • Solid Wood for long lasting durability. 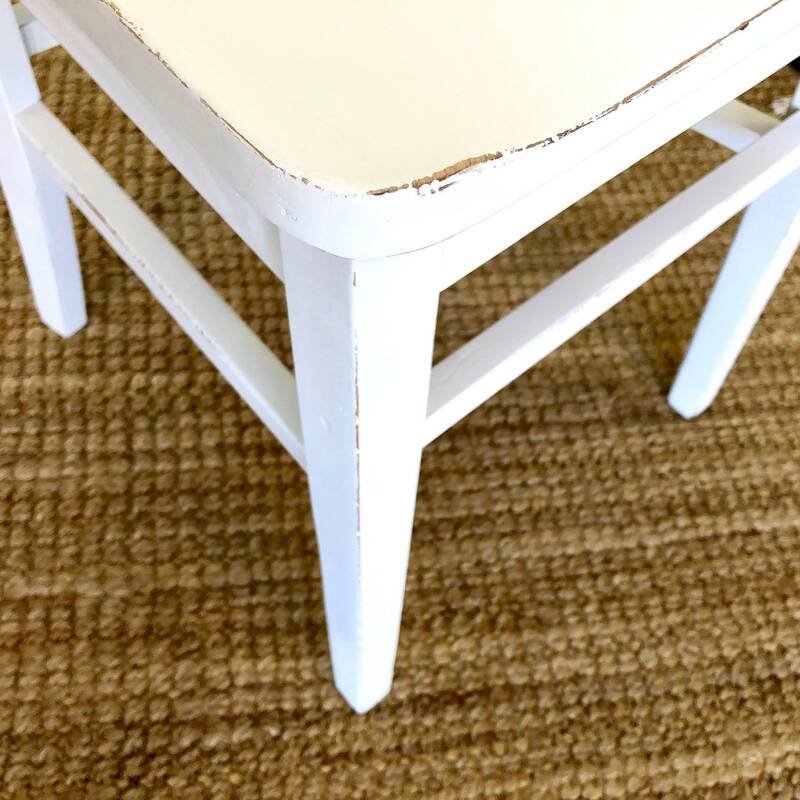 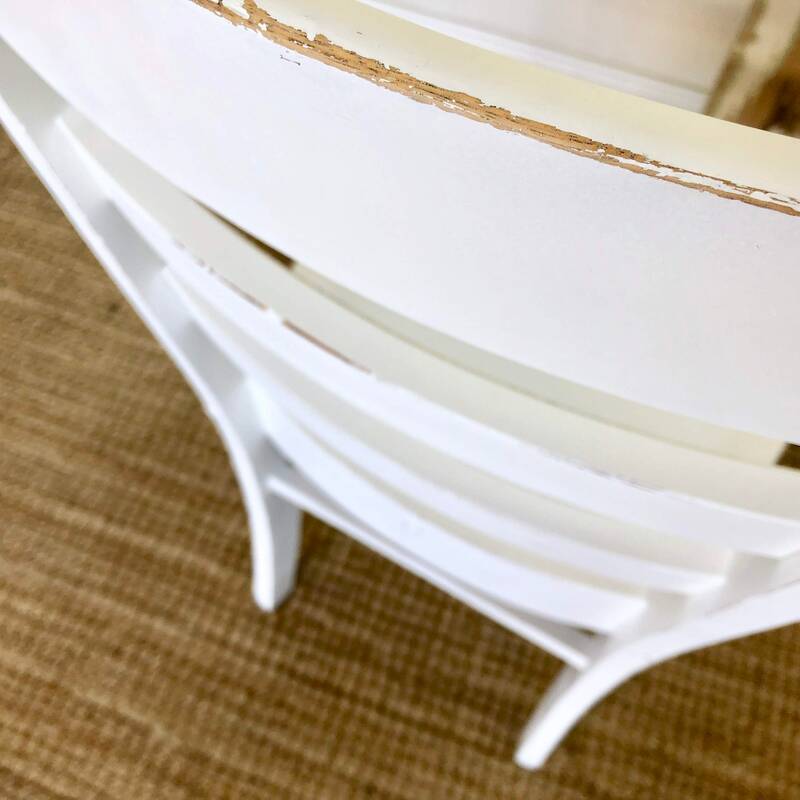 It has been hand painted in a farmhouse white color and distressed for the wood color underneath to peek through.